Saturday brings International Observe the Moon Night activities to Tucson. The local event, organized by the Planetary Science Institute, will run from 7 to 10 p.m. on the University of Arizona Mall and at the Flandrau Science Center and Planetarium. Activities are free and open to the public. Free Moon-related talks will be offered. At 7:30 p.m. Bob Strom will discuss "Early Lunar Exploration and the Apollo Program." At 8:15pm: Steve Kortenkamp's presentation will be "A Brief History of Our Fascination with the Moon." At 9 p.m. Flandrau's Planetarium will offer the laser light music show "Dark Side of the Moon" with music by Pink Floyd. Flandrau's 16-inch Cassegrain telescope will also be available for public viewing of the Moon. Other indoor activities at Flandrau will include crater making, exploring Moon phases, art activities and more. Free event parking is offered at the Second Street Garage and Cherry Street Garage. "This event is an exciting opportunity to learn about lunar exploration from some amazing local scientists," said Sanlyn Buxner, PSI Education Specialist and Research Scientist and event organizer. "There will be engaging activities for the whole family both on the mall and inside the science center and some great views of the skies through various telescopes"
Telescope viewing provided the Tucson Amateur Astronomy Association and several University of Arizona organizations, including UA Students for the Exploration and Development of Space and the Lunar and Planetary Lab, will be available for close-up viewing of the Moon. The Planetary Science Institute is organizing the event in collaboration with UA's Flandrau Science Center and Planetarium, the UA Lunar and Planetary Lab, the UA Students for the Exploration and Development of Space, the UA student chapter of the American Institute of Chemical Engineers, the National Optical Astronomy Observatory (NOAO), the Tucson Amateur Astronomy Association (TAAA), and the Girl Scouts of Southern Arizona. 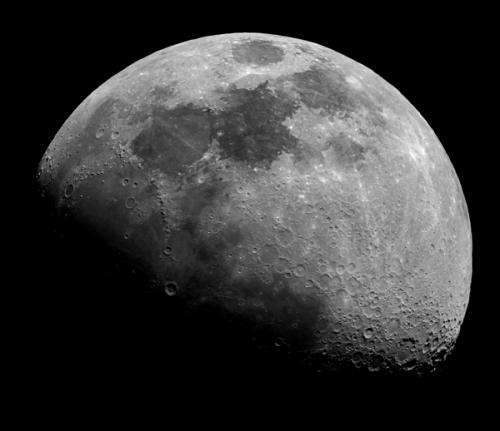 International Observe the Moon Night is an annual event that is dedicated to encouraging people to 'look up' and take notice of our nearest neighbor, the Moon. From looking at the Moon with a naked eye to using the most sensitive telescope, every year on the same day, people from around the world hold events and activities.